Martin Scorsese is responsible for some of the greatest films ever made (IMHO), with a legendary career spanning over half a century and showing no signs of stopping. Now, Los Angeles-based theatre company For the Record is taking on Scorsese’s filmography in a new form: a musical, now playing through October 16 at the Wallis Annenberg Center for the Performing Arts in Beverly Hills. Here are just a few reasons why Scorsese’s films seamlessly translate from screen to stage in Scorsese: American Crime Requiem. Filling the shoes of Scorsese’s go-to actors like Robert De Niro and Leonardo DiCaprio is a tall order, and the thought of remaking iconic films like Taxi Driver or Goodfellas could be considered cinephile sacrilege. But live theater is all about experimentation and taking risks, therefore making it the perfect place to see actors explore their interpretations of larger-than-life characters such as Travis Bickle, or Jordan Belfort. The dialogue in any given Scorsese film is at turns sharp, poetic, and rife with expletives. While most of us are already quite familiar with iconic lines like “You talkin’ to me?”, it feels like you’re hearing them for the very first time all over again when delivered live onstage. Get the blood packets ready! 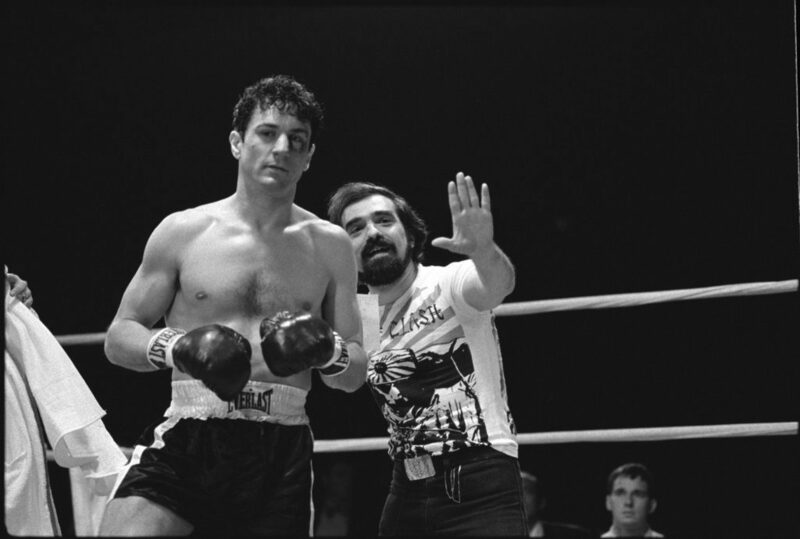 Scorsese has never been known to shy away from violence in his films, and for many fans that’s what makes them so compelling to watch. Whether it’s a bar brawl or a bloody shootout, Scorsese’s films provide ample opportunity for some exciting, creative fight choreography on stage that will shock and excite the audience. While it may seem like an ambitious undertaking to combine the plots of multiple Scorsese movies into one cohesive performance, For the Record does so in a way that you don’t need to be a die-hard fan to follow along. If you’ve never seen a Scorsese film in your life (and if you haven’t, you probably should), you’ll still be able to appreciate and enjoy the nuanced characters and their fascinating journeys. Whether you’re going as a fan of the movies or a fan of theatre, you’re bound to get sucked in. The structure of American Crime Requiem allows for the audience to feel like they’re part of the scene as the actors are performing–without all the anxiety and embarrassment that comes with full-fledged audience participation. Tables are set up onstage for audience members to enjoy the performance with drinks and a unique perspective. The show kicks off with casual chit-chat among the actors at a bar, making it feel like you’re a part of the action, rather than just spectating. Scorsese has worked with some of the biggest names in the music business, including The Rolling Stones, Jimi Hendrix, Bob Dylan, and Michael Jackson, to name a few. So it’s no surprise that his films are accompanied by bold, electric soundtracks. For the Record has put the songs front and center for American Crime Requiem, as cast members sing their way through interweaving plot lines from various films. As actors breathe new life into rock & roll classics and pop standards, they also highlight the debauchery, the tension, and the tragedy that each character experiences through song. Sure, you could just watch your favorite Scorsese movie at home for the hundredth time. But when you step into the Scorsese’s world as told by For the Record, you get to see what it would be like if Henry Hill from Goodfellas was good friends with Ace from Casino. How might Iris from Taxi Driver interact with Jordan Belfort from Wolf of Wall Street? For the Record dares to answer these questions and more in American Crime Requiem, and for any film or theatre fan, it’s not to be missed. Scorsese: American Crime Requiem is playing now through October 16 at the Wallis Annenberg Center in Beverly Hills. 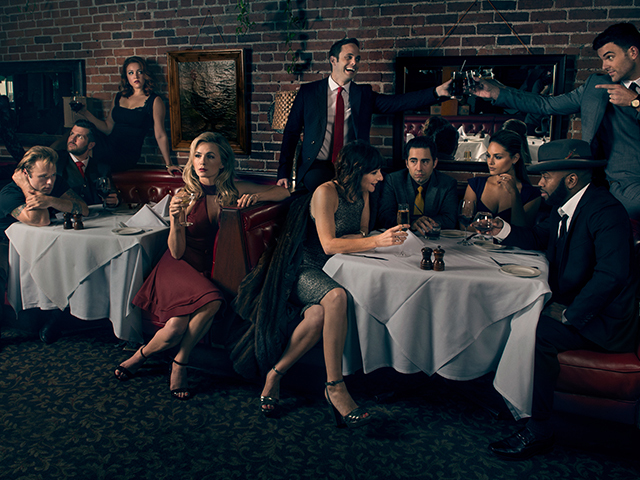 Get $30 tickets, which include a free drink voucher and access to AfterParty @ the Wallis here.